Sunday, January 1st, 1860 – a Series of meetings in progress at the Turnpike in Smithfield. Several converted I am among the number Which Desire to flee from the wrath to come and gain a home in heaven. Jan 2 – Go to School to Miss Frank Sweeney, District School in Burlington. Jan. 8 – Attend Church on the Turnpike. Preaching by Rev. H (?) Lankin. Jan. 11 – Not liking the teacher I leave School about ½ leave at the same time. Jan 12 – Change works with A. W. Wheaton, get ready for cutting wood. Father gone to pine creek on Town business. Jan. 13 – Cut drafts of wood. Jan. 14 – Choring (?) and drawing wood. Jan. 15 – Attend Church on the Turnpike. Preaching by Rev. H. Lanikin. Joined the Methodist E. Church on probation of 6 months to learn the rules of the Church. Jan. 19 – drawing wood to door. Jan. 20, 21 – Chop wood and chores. Jan. 22 – quite cold. Stay at home. Jan. 23, 24, 25 – Chop wood at door. Jan. 29 – Attend Church on the Turnpike. Preaching by Rev. H. Lamkin. Jan. 30, 31 – Chop wood and chores. Wednesday, February 1, 1860 – Cut drafts of wood. Feb. 4 – Choring around house. Feb. 5 – Attend Church on the Turnpike. Preaching by Rev. H. Lamkin. Feb. 6, 7, 8, 9, 10, 11 – Chop wood and chores. Feb. 12 – Attend Church on the Turnpike. Preaching by Rev. H. Lamkin. Feb. 13, 14, 15, 16, 17, 18 – Chop wood and chores. Feb. 19 – Attend Church on the Turnpike. Preaching by H. Lamkin. Feb. 20, 21, 22, 23, 24 – Chop wood and chores. Feb. 25 – Choring around house. Feb. 26 – Attend Church on the Turnpike. Preaching by Rev. H. Lamkin. Feb. 27 – Cut wood and chores. Mar. 4 – Attend Church on the Turnpike. Preaching by H. Lamkin. Mar. 11 – Attend church on the Turnpike. Preaching by H. Lamkin. Mar. 18 – Attend Church on the Turnpike. Preaching by H. Lamkin. Mar. 25 – Attend Church on the Turnpike. Preaching by H. Lamkin. Mar. 27 – Chop wood and chores, receive a present of a book from Rev. Wm. Armstrong "Title The young man" by John Todd. April 1, 1860 – Attend church on the Turnpike. Preaching by H. Lamkin. Apr. 15 – Attend Quarterly meeting on the Turnpike Preaching by Rev. H. Lamkin. Apr. 19 – help pull Stumps at Wm. Campbells. Apr. 21 – Plow Garden & C.
Apr. 22 – Attend Church on the Turnpike. Preaching by Rev. H. Lamkin. Apr. 23 – draw nails and C.
Apr. 25 – pull stumps. Snowed part of day. Apr. 29 – Attend Church on the Turnpike. Preaching by H. Lamkin. Apr. 30 – help pull stumps. May 7, 8, 9, 10, 11, 12 – Plowed the first 4 days then cold and rainy. Do chores. Fish (?) in the creek. 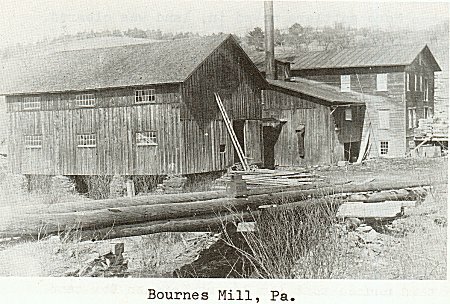 May 14 – Showers go to mill in afternoon. May 16 – pull stumps for road & C.
May 20 – Attend Sunday School and Prayer meeting on Turnpike. May 27—Attend Church and Sunday School at the Turnpike Preaching. June 1, 1860 – Finish planting corn. June 3 – Attend church and Sunday School. Preaching by H. Lamkin. June 10 – Attend Sunday School on the Turnpike and "Christians Conference" in Burlingame’s neighborhood of Smithfield. James Fivie married to a wife Farnsworth. June 11, 12, 13 – watching (?) and planting our corn. June 17 – Attend Sunday School and Church on the Turnpike preaching by Rev. H. Lamkin. July 1, 1860 – Attend Church on the Turnpike Preaching by H. Lamkin. Several Baptized mostly by Sprinkling I am Sprinkled. I will "Be ye Sprinkled with clean water and ye Shall be Clean"
July 2, 3 – hoeing corn and commence haying and C.
July 4 – Go Troy afoot the first time I was ever there. Brass Band Fire Company we get catched in a thunderstorm coming home. Spend 29 cents. 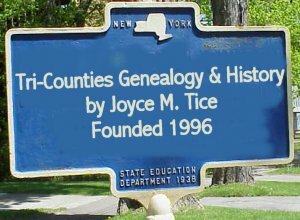 July 6 – Build fence and C.
July 8 – Attend Sunday School and Church on the Turnpike preaching by Rev. H. Lamkin. July 14 – hoed Potatoes Father buys me a Sythe & Swath for 14/. July 15 – Attend Church on the Turnpike and Sunday School preaching by Rev. H. Lamkin. July 16 – hoed corn and help I. C. Tomkins Set his Fallow. July 18 – Work at haying an eclipse of the Sun rainy at night. July 22 – Attend Sunday School and Church on the Turnpike Preaching by the Rev. H. Lamkin text ??? July 26 – work at haying, Birthday 16 years old today. July 27, 28 – Work at haying. July 29 – Stormy Stay at home write 2 letters. July 31 – Work at haying. 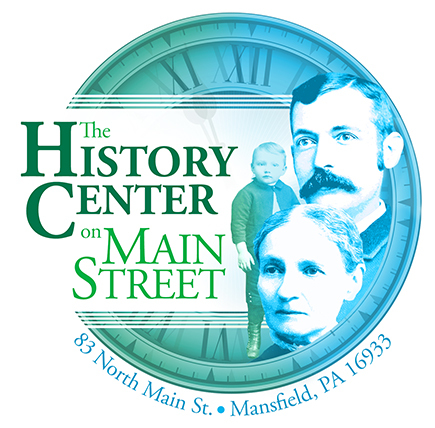 Aug. 8 – Cut logs go to Smithfield Center. Aug. 11 – Choring. Uncle Amos Bourne and Family come visiting to our house. Aug. 19 – Attend Church and Sunday School Preaching by Rev. H. Lamkin who preaches his farewell Sermon also am received into the M. E. Church in full communication after learning the rules of the M. E. Church. I think that church is the best. I Shall try and be a useful member of it. Aug. 25 – Choring around home. Aug. 26 – Attend Sunday School at the Turnpike Rev. H. Lamkin gone to conference. Sept. 1, 1860 – Choring around home. Sept. 2 – Attend Church and Sunday School on the Turnpike Preaching by Rev. M. Coyl new preacher. H. Lamkin Stationed at Burlington Boro. Sept. 16 – Attend Church on the Turnpike Preaching by Rev. M. Coyl. Sept. 23 – Attend church on the Turnpike preaching by Rev. M. Coyl. Sept. 29 – Work at home. Oct. 21 – Attend church at the Turnpike Preaching by Rev. M. Coyl. Nov. 23 – The School at Smithfield closes today. Reading papers Speaking pieces and ?? Constitute the closing exercises. Nov. 25 – Attend Church on the Turnpike Preaching by Rev. M. Coyl. Dec. 2 – Attend Church on the Turnpike preaching by Rev. M. Coyl. Dec. 20 – go to School, South Carolina Secedes from the union by an unanimous vote. Dec. 31, 1860 – School closed today. Work at Chopping Wood in the woods and at the door in the evening attend a watch meeting on the Turnpike. M. Coyl Sick the meeting conducted by Revs. Isaac Hibbard and Lucicus French, a large number Present.